Since 2015, Marais is a branch of the Tesmec Group, an italian company based out of Grassobbio, a few kilometers away from Bergamo in the North of the country. Tesmec designs, manufactures and sells products, technologies and integrated solutions for the construction, maintenance and efficiency of infrastructures related to the transport and distribution of energy, data and material (oil and derivatives, gas, water) such as: overhead and underground networks, traditional and high speed railway lines, energy cables and pipelines. With more than 65 years of experience and more than 750 employees, Tesmec Group carries sales activities in more than 135 countries around the world. Thanks to our founder, we are proud to say that we invented the trenching wheel and the mechanical laying concept. Until today, trenching and microtrenching machines remain our best sellers. Marais started as a contracting company specialised in wet rental of trenching machines. 1993 : First international projects. 2001 : First delivery of a turnkey telecom projects (10 000 km backbone network). 2005 - 2009 : Establishment of branches in Morocco, Algeria, Tunisia, Australia and South Africa. 2007 : Start of the equipment sale activity. 2016 : Establishment of a branch in Ivory Coast. 2018 : Launch of Marais in North America with sister company Tesmec USA. 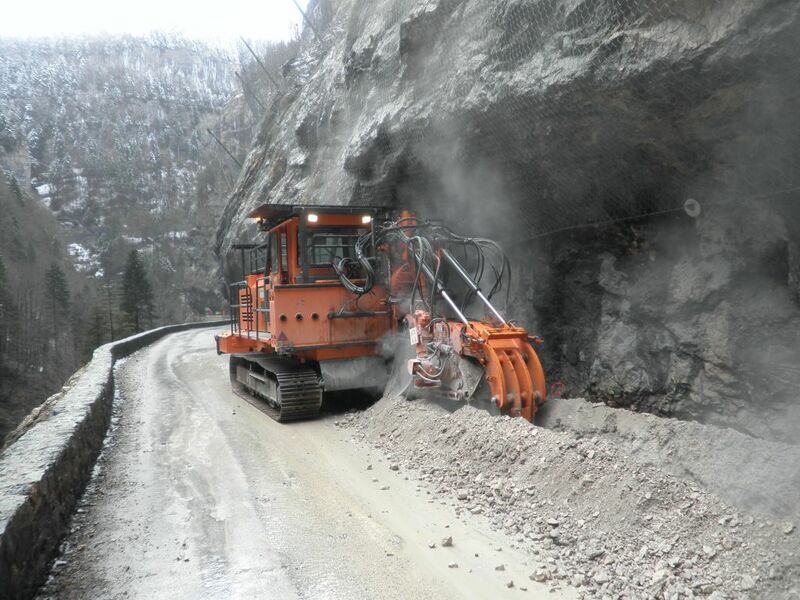 Today, Marais continues to work hard every day to disrupt network construction conventional processes, reducing deployment costs thank to innovative machines and new site organisation processes. 1962 : First Rocksaw trencher. 1974 : Invention of the mechanical laying process. 2009 : Thanks to Marais strong lobby, micro-trenching becomes an official standard in France. Same standard would then become European Union official standard. 2018 : Invention of the CityCleanfast. 55 years of experience in networks construction. More than 260 employees worldwide. More than 80 trenchers on our rental fleet around the world. More than 4 000 km of networks realised in France in 2017, growth of more than 20% compared to 2016. 100 000 km of telecom and energy networks installed since 1962. The equivalent of 2 1/2 laps around the world. International turnover : 50 % (with 90% out of Europe).